Wirral West MP Margaret Greenwood has spoken out against cuts to schools funding as figures obtained from the National Education Union (NEU) show that 96% of schools in Wirral West have suffered government cuts to per-pupil funding since 2015. Wirral West MP Margaret Greenwood has welcomed an independent report into regional inequality and how to rebuild the regions and nations of the UK. 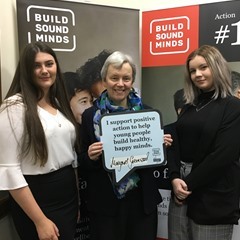 Wirral West MP Margaret Greenwood joined young people and mental health experts from leading charity, Action for Children, to support the parliamentary launch of Build Sound Minds – a campaign to help children and teenagers build good mental and emotional wellbeing. 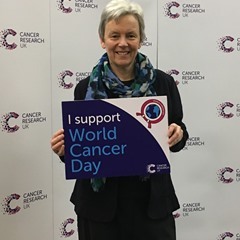 Wirral West MP Margaret Greenwood has attended an event in Parliament to pledge her support to World Cancer Day 2019 which took place on 6 February. Wirral West MP Margaret Greenwood has organised a public meeting in West Kirby to discuss residents’ concerns regarding anti-social behaviour.